ABSOLUTELY STUNNING! STUCCO W/ STONE ACCENTS, 2 STORY ESTATE ON A LAKEFRONT LOT. THE CIRCULAR DRIVEWAY OF PAVERS LEADS YOU TO 'OLD WORLD' DOUBLE WOOD DOORS. HARDWOOD FLOORS THOUGH OUT ALL MAIN FLOOR SOCIAL AREAS. DESIGNER NEW KITCHEN W/ CUSTOM, WHITE CABINETRY, STONE ACCENT WALLS, THERMADOR APPL., GAS BURNER W/COPPER HOOD, REFRIGERATED DRAWERS & SLABS OF STONE. THIS 'HEART OF THE HOME' KITCHEN IS WIDE OPEN TO THE FAMILY ROOM, BREAKFAST AREA & WALLS OF WINDOWS, LEADING YOU OUT TO THE LANAI, PATIO & FIRE PIT & POOL SIZED BACKYARD.. MAIN FLOOR MASTER SUITE, GUEST SUITE AND OFFICE. UPSTAIRS ARE 2 MORE, LARGE BEDROOMS WITH CUSTOMIZED, WALK IN CLOSETS, 2 FULL BATHS & BONUS/FLEX ROOM. 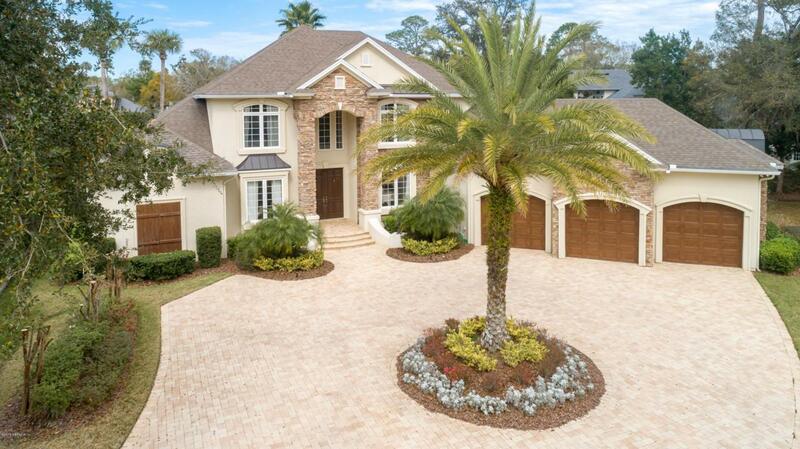 SIMPLY A GORGEOUS HOME, ON A GREAT LOT, IN THE PERFECT LOCATION OF MARSH LANDING COUNTRY CLUB! Home Owner Assoc Name Marsh Landing Mngt.